Consultation meetings on the future of the club are being held on Saturday, 9th February, at 1.30pm at the Parkin Hall, Pooley Bridge and Sunday, 10th February, at 1.30 pm at the Holiday Inn, Scotch Corner. Details are in Members News in the Portal on this website and in an email sent out to members on January 23. Congratulations to World Champion freestyle kayaker Claire O'Hara who has been awarded an MBE for services to canoeing. Her proud dad Paul is our new Commodore and she is a regular visitor to UYC when not travelling the world competing. We look forward to welcoming Claire O'Hara MBE back to the club with her daughter Sky who was born last month. It is with great sadness that we learned that Mike Adams passed away peacefully yesterday morning, Saturday 22 December. 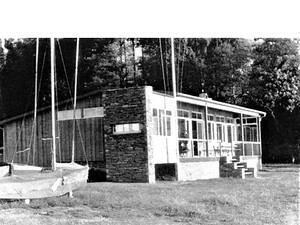 Mike was a stalwart of Ullswater Yacht Club. 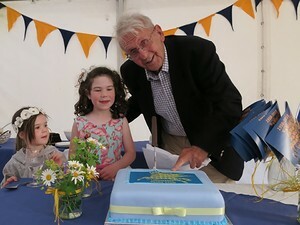 A dedicated club member for more than 45 years, he was involved in numerous voluntary roles including Sailing Secretary and Tempest Representative on the main Committee. Mike and Lilian spent many hours refurbishing the Committee Boat, Nina. 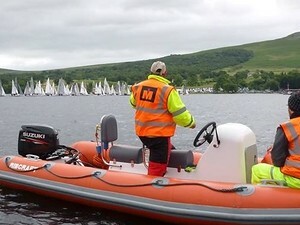 Above all Mike was a keen competitor and an expert helmsman.